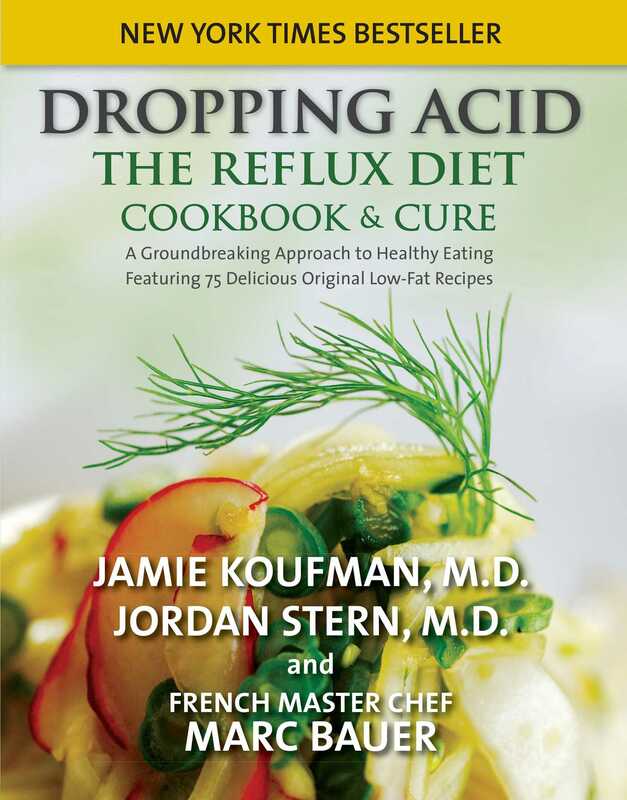 Dropping Acid: The Reflux Diet Cookbook & Cure is the first book to explain how acid reflux, particularly silent reflux, is related to dietary and lifestyle factors. It also explains how and why the reflux epidemic is related to the use of acid as a food preservative. Dr. Koufman defines the symptoms this shockingly common disease and explains why a change in diet can alleviate some of the most common symptoms. Dropping Acid offers a dietary cure for acid reflux, as well as lists of the best and worst foods for a reflux sufferer. The book’s recipes use tasty fats as flavorings, not as main ingredients; included are the recipes for tasty dishes that prove living with reflux doesn't mean living without delicious food.